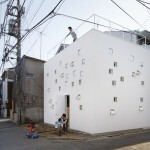 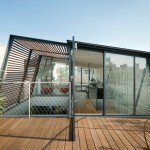 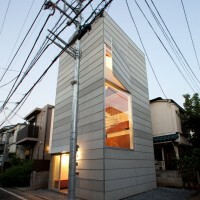 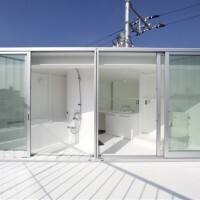 Unemori Architects designed this house in Tokyo, Japan with a very small footprint. 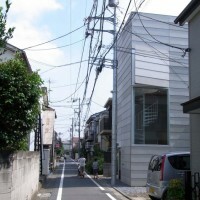 The small house which the married couple and their child live stands at the densely populated area in Tokyo. 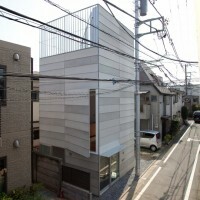 Though the neighboring houses is very close, I aimed to design the house which exceed the physical narrowness living at the city. 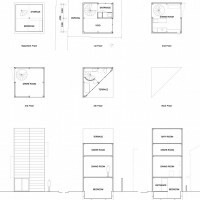 I laid out the 4m×4m building that as small as I can at the center of site area 34m2 and made some space for flowing of light and wind around it. 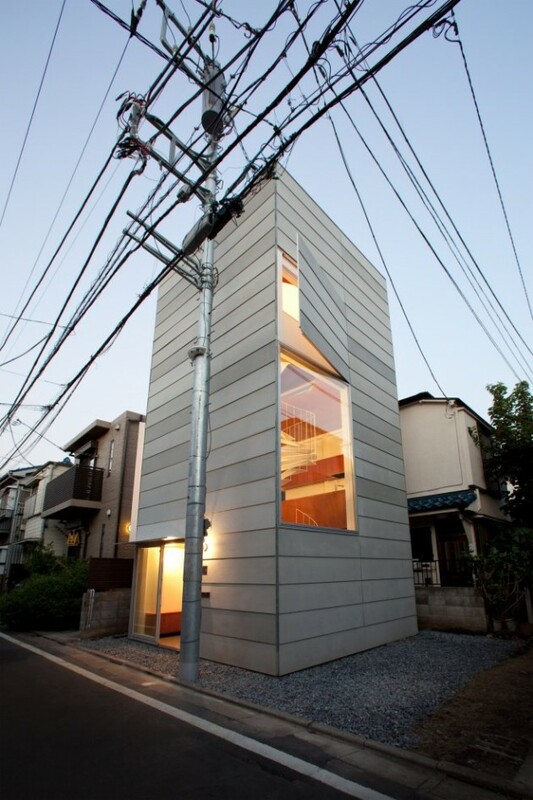 And by making the space, it’s possible to avoid setback regulation and it has the 9m high volume like a tower. 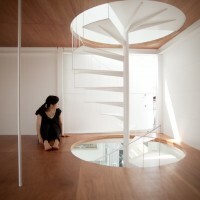 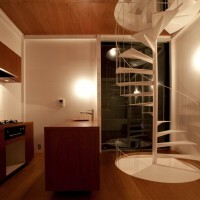 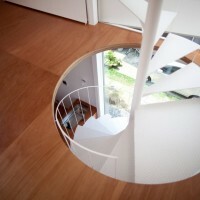 The inside is simple structure what is separated by the 4 floor boards and is jointed by spiral stairway. 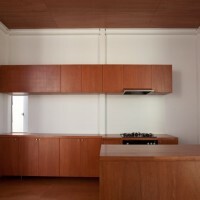 Especially, by making some extremely thin floor boards (thickness 70mm), the up and down floor boards got close and connected the whole space of the house without a break. 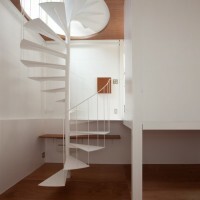 The space of around the house is useful to let light and wind in. 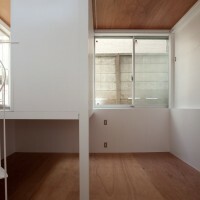 The wall of the rooms borders the outside, so I put windows in the best position that harmonizing with its surroundings. 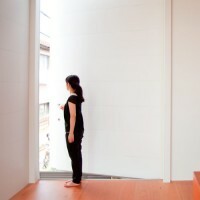 And the window is so big against the small room, every time the window opens or closes, the inside view dramatically changes. 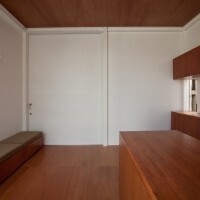 Especially, at the second and third floor there is a large hinged door each room, if it is opened, the inside of the room is enveloped in light and wind as if you are outside. 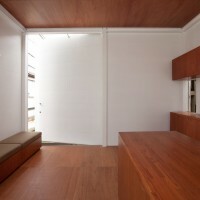 By making the thin floor boards for connecting with their life and making the large windows what are opened toward the city, I aimed to exceed the segmentation, for example the up stair and the down stair, the inside and the outside, a building and the town, etc… to broaden the whole image of a house. 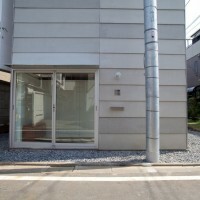 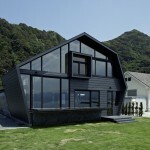 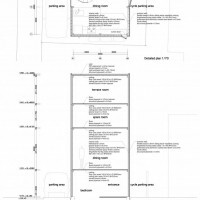 Visit the Unemori Architects website – here.